For me, Casual Fridays is one of the biggest highlights of my work week. I get to step out of that formal wear, and into something more fun and well, casual--for a lack of a better word. The star of the show here is of course, the metallic vest. 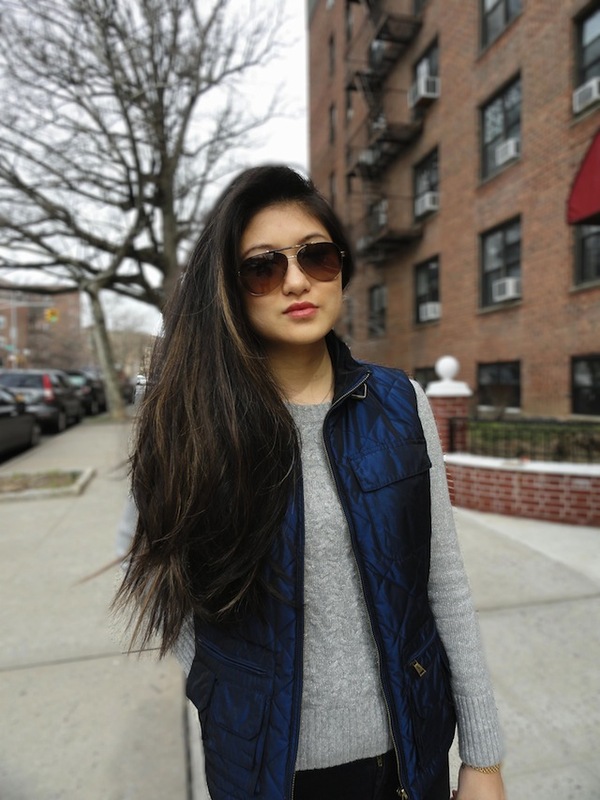 In a perfectly royal blue with a beautiful sheen, the Ralph Lauren vest not only keeps me warm for this transition to spring weather, but also makes my outfit a bit more stylish don't you think? But really, have you checked out how many pockets/zippers/compartments there are on this vest?! Functional fashion to the max. Gorgeous laid back, yet chic look ! Have a nice week, lovely ! Love your vest and those fabulous shoes. You look amazing! Your heels are very Alexander Wang-esque. Love them!